"How does that work?" you ask? First, we set up the room for safety. This class is for pre-mobile babies only. This keeps all babies safe from the flywheel, equipment and each other. Some babies are on a mat in front of mom while others might be sleeping in their car seats or strollers. Moms do not hold babies while spinning. 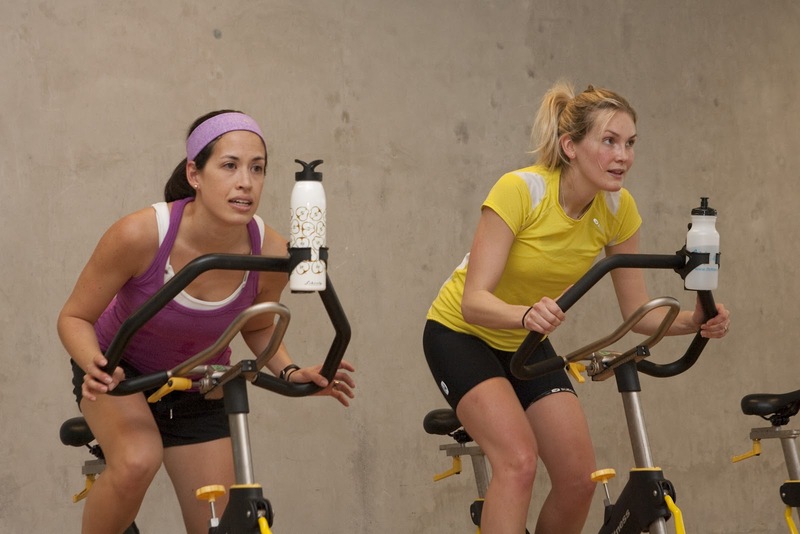 This means we do intervals of spinning and strength training. In other words, we are on the bike for a song and off the bike for a song. When mom is off her bike it is easier for her to attend to her babies needs. 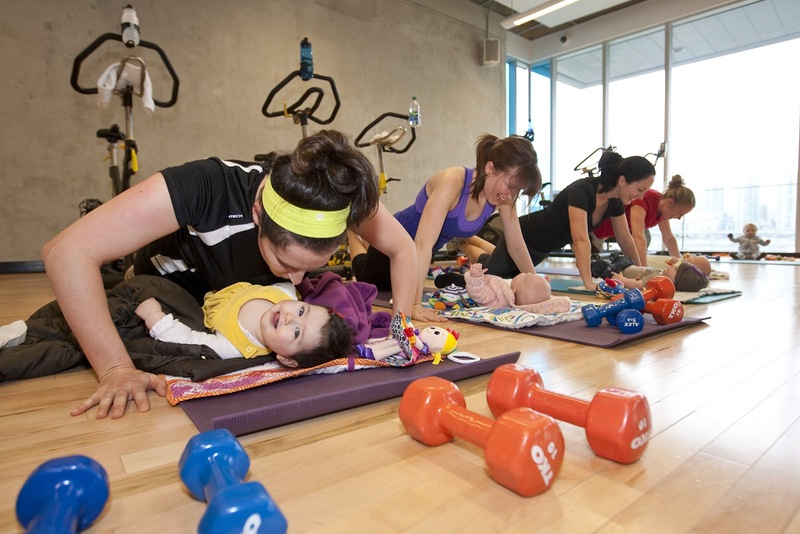 That said, if baby needs mom during a spin interval, mom can come off her bike, scoop baby up and do the alternative exercise provided by her instructor. We spend the last 15 minutes on the mat doing core work and stretching. By this point, many babies want to be included in the exercises. It works!! In fact it works so well that class often gets sold out. We have a maximum number of bikes at each facility so be sure to register early and avoid disappointment.